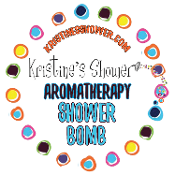 Handmade Shower Bombs, scented, and soothing. These shower bombs will turn your shower into a spa experience - and you can do it everyday! We rely on essential oils to create scents that will help you start your day energized, or end your day relaxed. There's even one to ease those sniffles. No matter the scent, they'll also leave your bathroom smelling great!